Denim on a shoe is always a bit tongue in cheek or dare I even say risky. However, as more men are claiming their style spaces and adopting more modern ways of dress that match their lifestyles, denim has become a huge part that has a great appeal dressed up and dressed down. Here's Bottega Veneta dressing it up with their cap toe Balmoral shoe for spring. 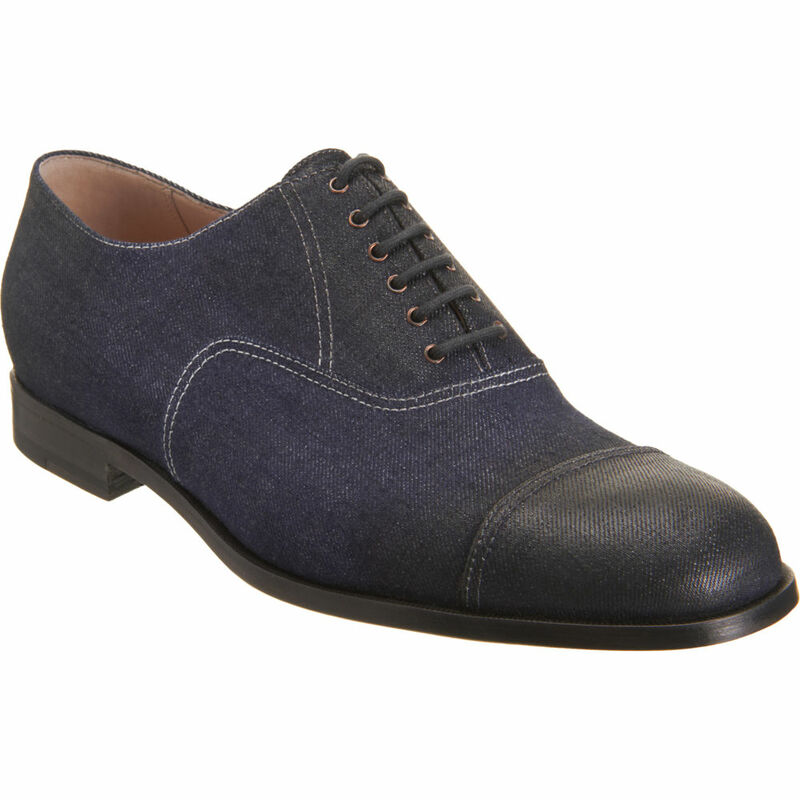 Not only does the shoe don an attractive waxed cap-toe silhouette whose front seam is always a dapper detail but it's also executed in a beautiful weight indigo denim that adds a level of cool texture and high-low luxury. I can only imagine that these shoes are going to retain their panache even after showing signs of distress, wear and tear. Available now at Barneys.com.